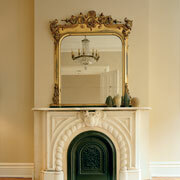 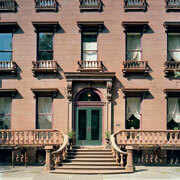 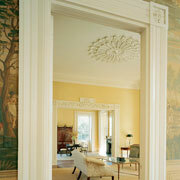 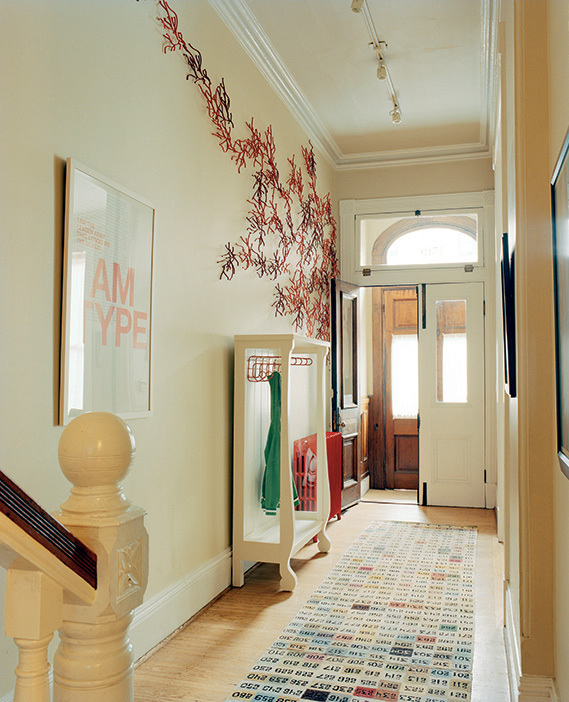 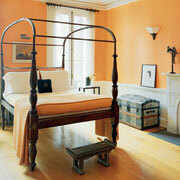 Restoring a House in the City includes the stories, told in words and photographs, of 21 antique homes in ten cities. 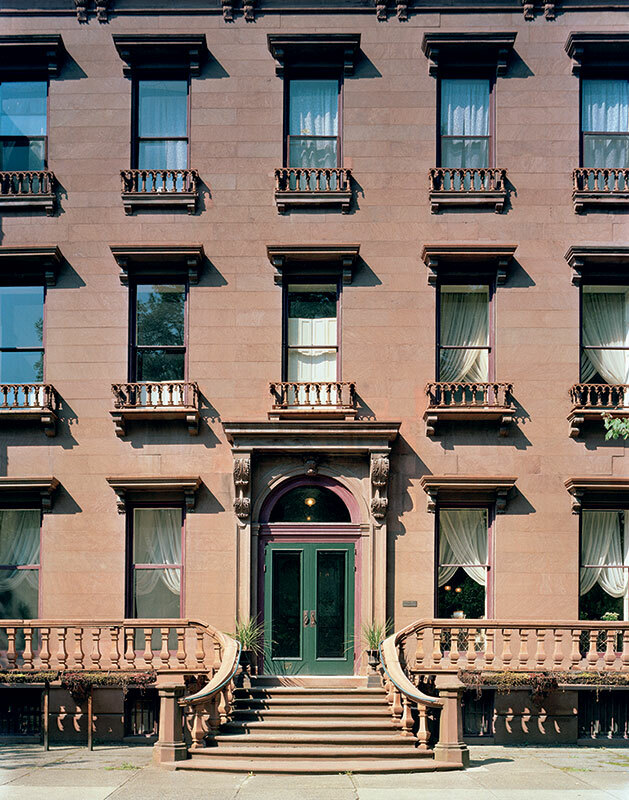 The houses range from a Greek Revival townhouse in Charleston, top left, to a double-wide brownstone in Troy, NY, top right. 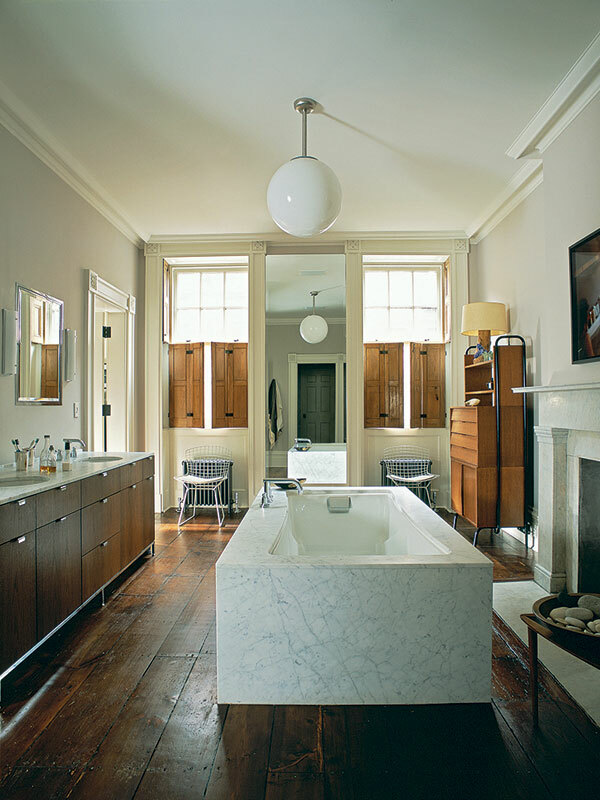 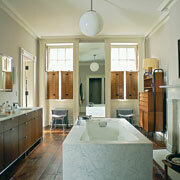 Above, center left, is Julianne Moore’s master bathroom in her Greenwich Village brownstone. 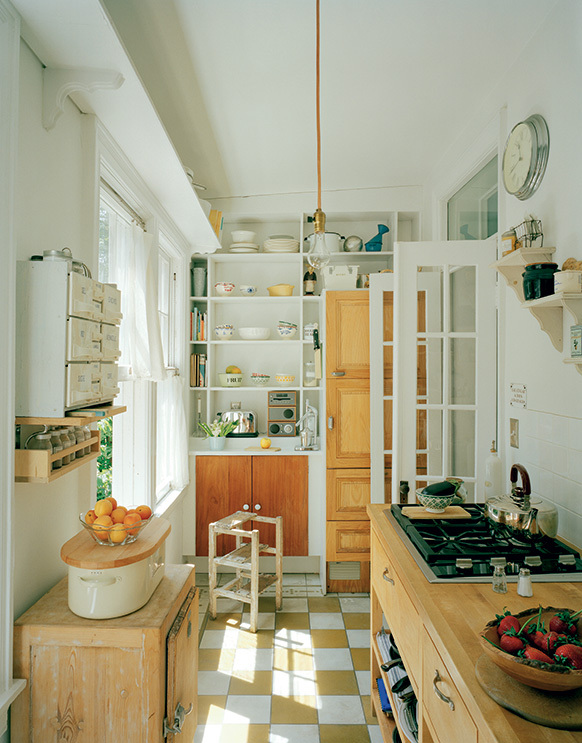 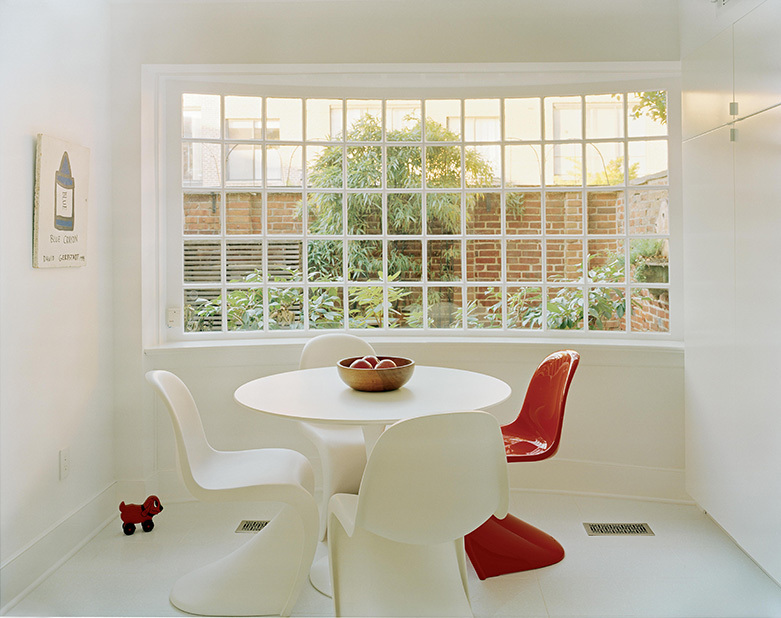 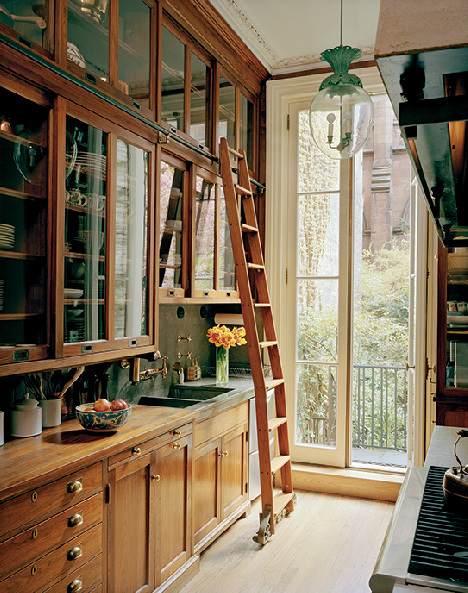 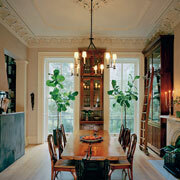 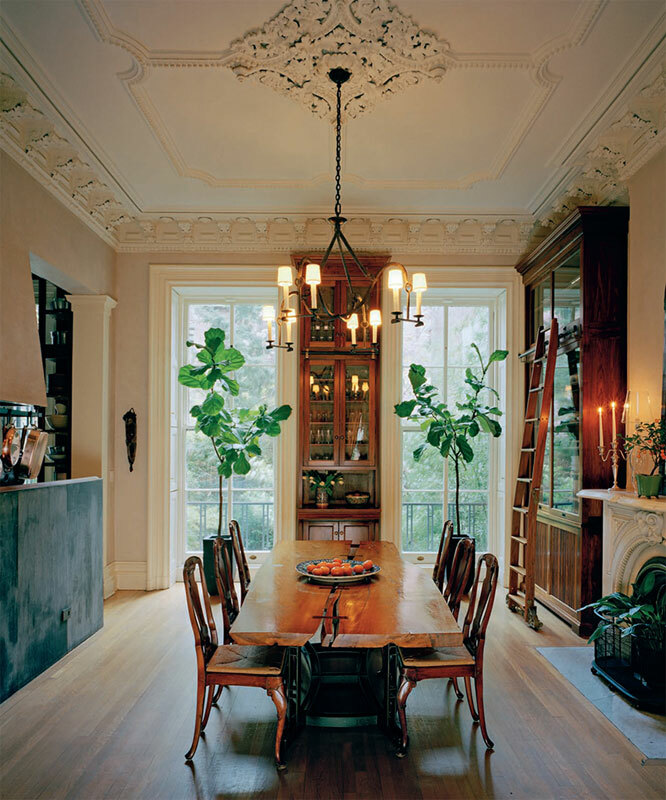 Center right, a library-style parlor-floor kitchen in Brooklyn Heights. 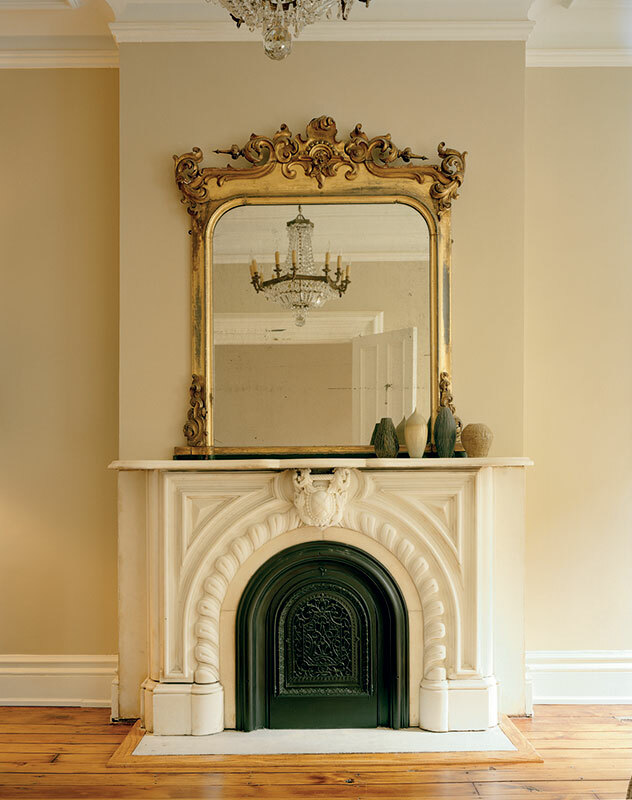 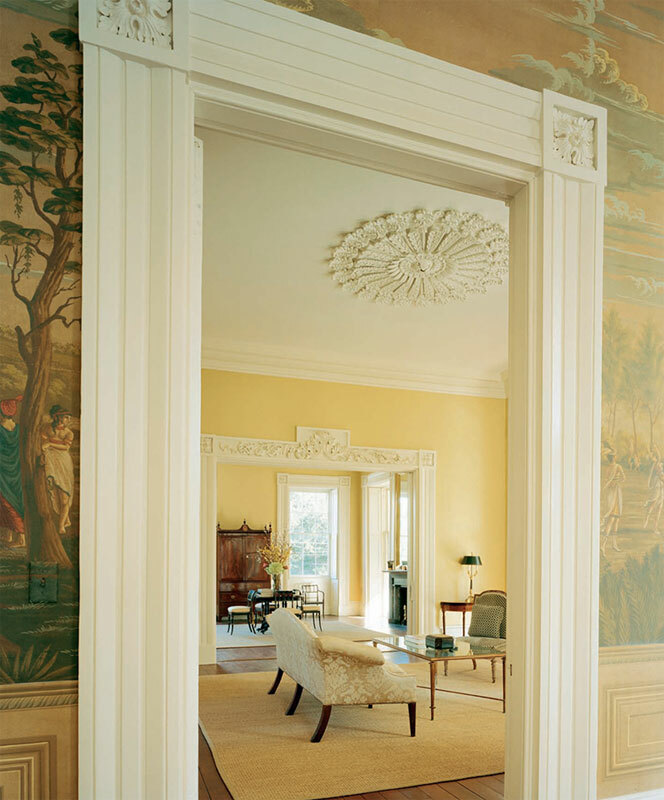 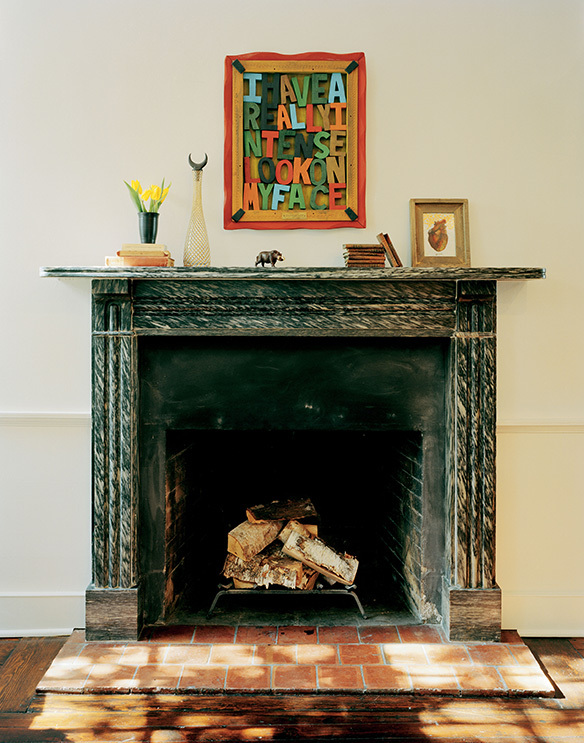 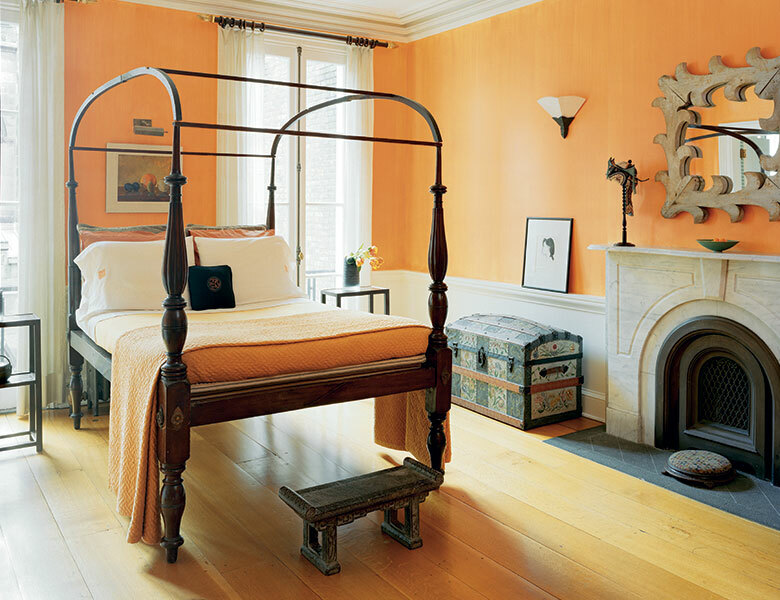 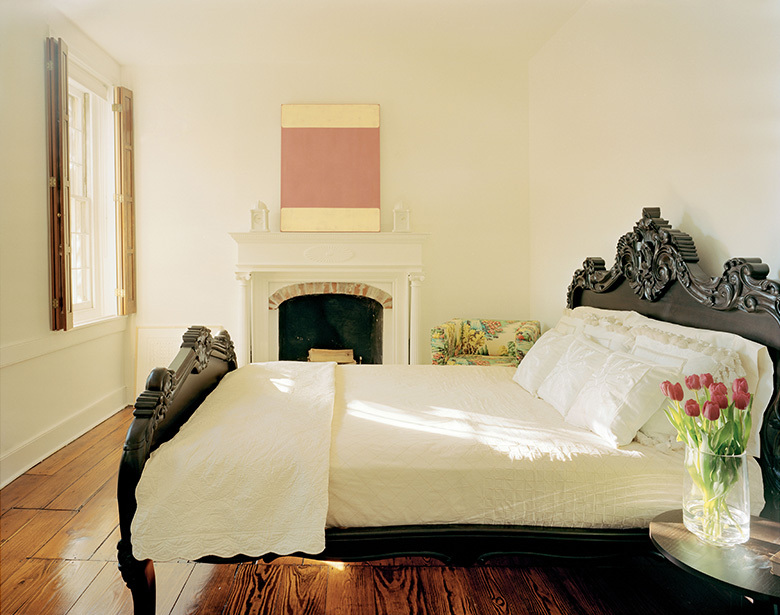 In every home in the book, the owners restored as many elements as they could, including original marble mantels like the ones in the orange bedroom, bottom left, and Fort Greene parlor, bottom right.